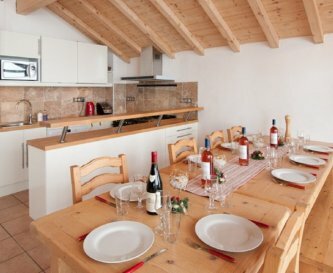 Chalets sur la Montagne, Sainte Foy-Tarentaise, French Alps, sleeps 4-40 in 19 bedrooms. Each has a sofa bed for 2 additional guests. 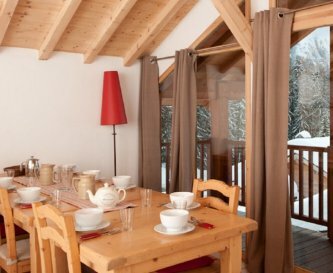 Available individually or in any combination - ideal for groups of friends or families for winter skiing breaks and alpine summer holidays. 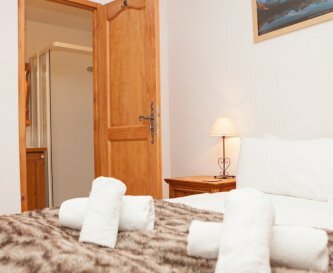 Our properties are privately owned holiday homes, so they benefit from those little extra touches that set them apart from a commercial rental property. 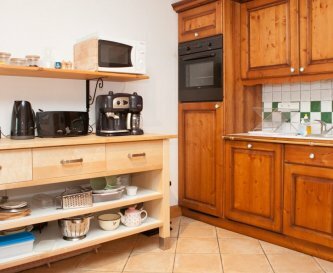 They all boast a very high quality of furnishings and equipment with plenty of storage space, efficient heating and plenty of hot water. 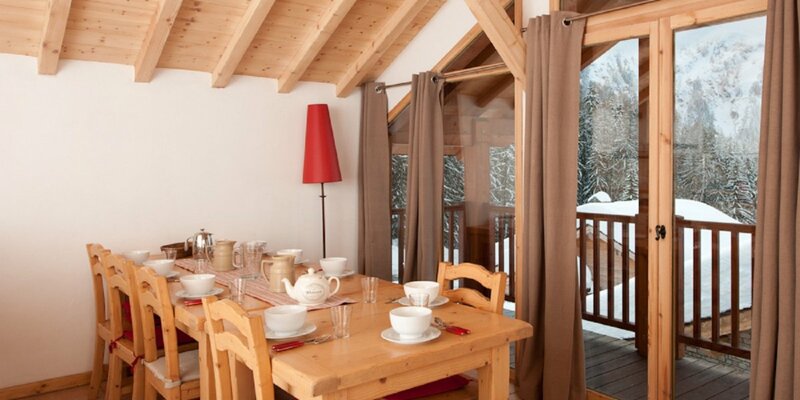 Great Escape chalet has a wood-burning stove, with firewood provided. They all have free WiFi, and a good selection of books, DVDs/videos, and board games. 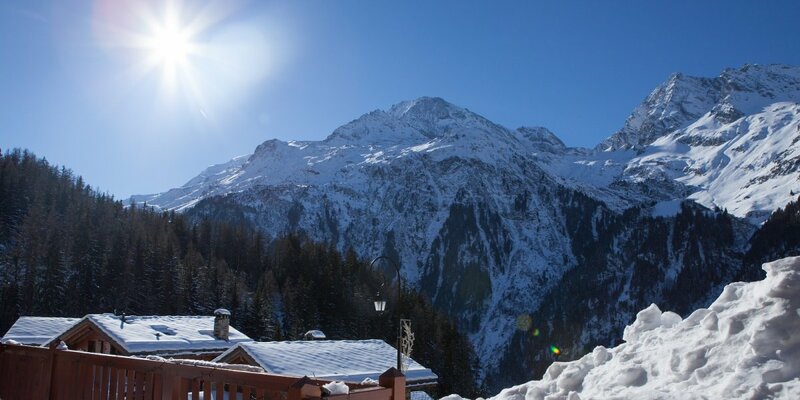 renowned for it's off-piste skiing, but equally loved by children and beginners. 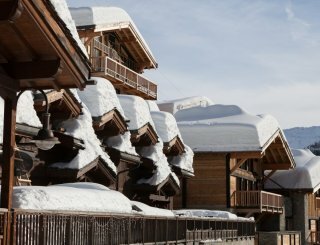 Intermediates enjoy it's proximity to some of the biggest ski resorts in France - Val d'Isere, Tignes, Les Arcs & La Rosiere, all within a short drive, so you can ski a different one every day! 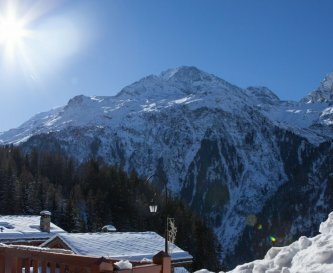 You can even combine it with twice daily yoga on our Snow Yoga holiday in March. The area is famous in the summer for road cycling - the local Cols often feature in the Tour de France route, mountain biking, hiking and white water rafting. 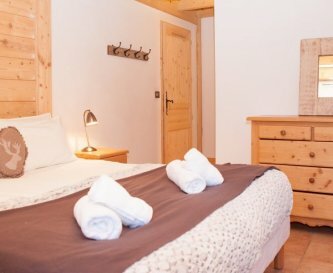 There are golf courses at Tignes & Les Arcs, a beautiful outdoor pool at Bourg St Maurce, and even a beach beside the fresh water swimming lake. There are some lovely local fetes too for those less sporty. And of course the stunning mountain scenery will take your breath away. Our well-informed resort team are happy to organise activities, lessons/guiding, passes, equipment rental, childcare and catering in advance or in resort, making it as easy as possible for you to enjoy your stay to the full. 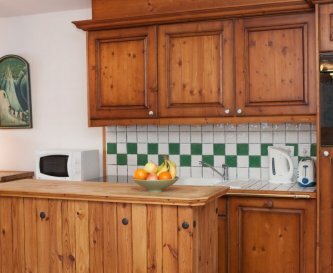 All properties have well equipped kitchens with oven, hob, fridge-freezer, dishwasher, microwave, kettle, toaster and coffee machine. 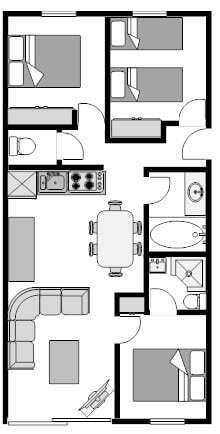 Each property can seat the maximum number of occupants. The maximum number that can eat together is 12 in Fegguese. 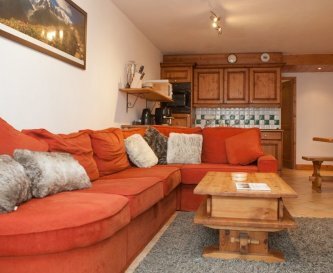 All the properties have comfy seating including a sofa bed for extra guests. Great Escape has a wood-burner. 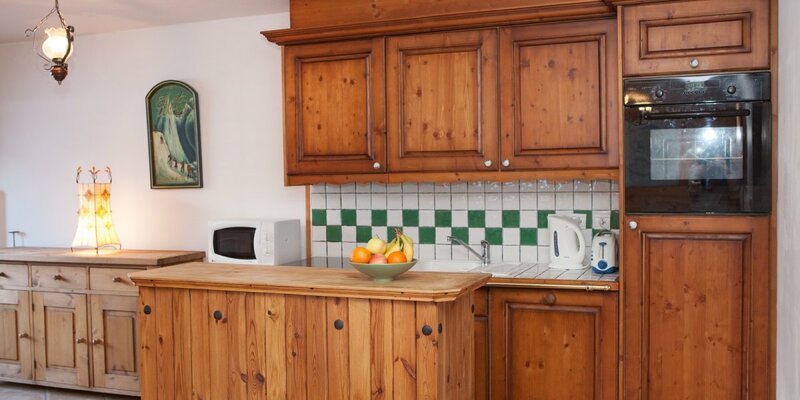 All properties have a flat-screen TV, satellite TV with UK and French channels, DVD player and music player. There is free WiFi in each property. 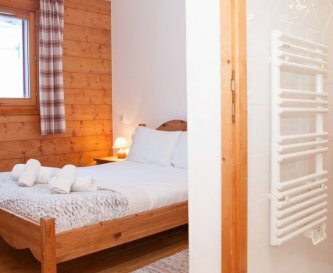 All chalets have central heating. 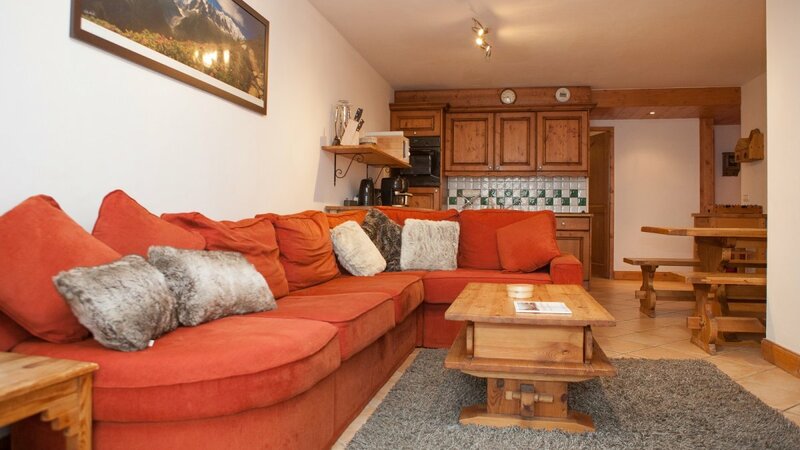 There is a wood-burner in the Great Escape chalet sitting room for which logs are provided. Fegguese - 4 ensuite showers, 1 bath. 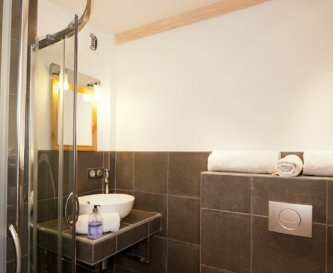 Apartments - 1 en suite shower and 1 bathroom each. Cots and high chairs are provided free of charge on request and we can also offer a nanny service. 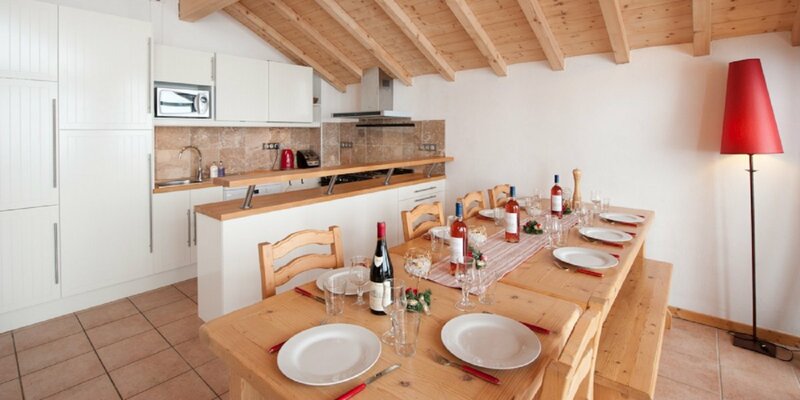 All properties have terraces with garden furniture, barbecue (on request) and mountain views. 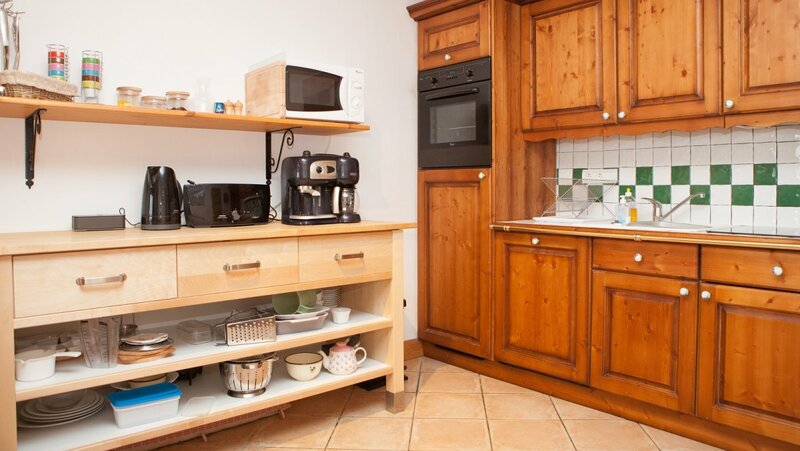 Chataigne has a garage space, and there is free public parking near to all the properties. Pets are accepted in Georgette and Mercer only. €35 supplement per animal per week. 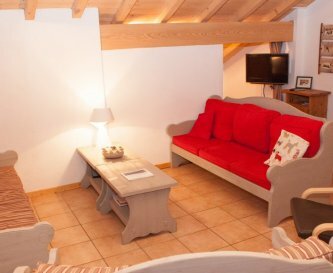 All the properties are at the centre of Sainte Foy ski resort, a short walk from the ski slopes, lifts, shops, bars and restaurants. Bourg Saint Maurice - 15 kms. Supermarket and bakery at the resort - 50-100m. 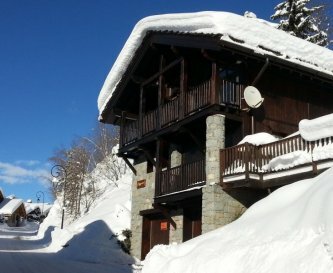 Sainte Foy resort - 100 - 300m. 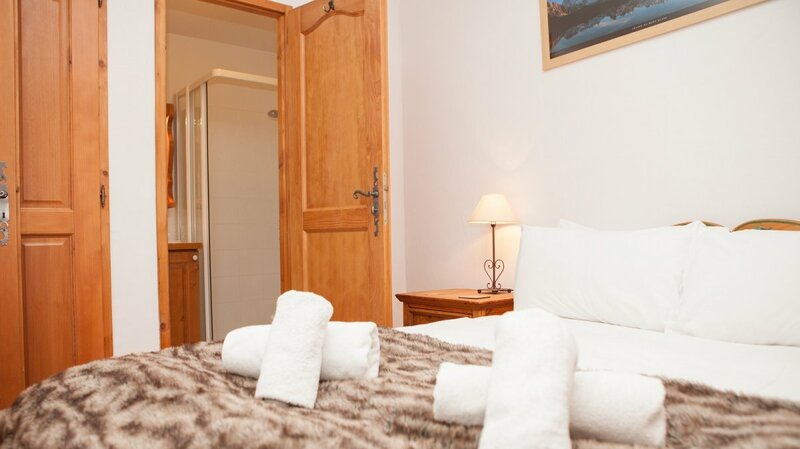 Prices are in Euros and are for 7 nights self-catered accommodation. Prices vary depending on the week. 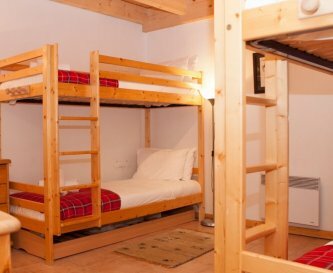 There is a tourist tax of €1 per night for those over 18. Changeover days are Saturday or Sunday. Short breaks may be possible in non-peak weeks. Bourg Saint Maurice (Eurostar service in winter). 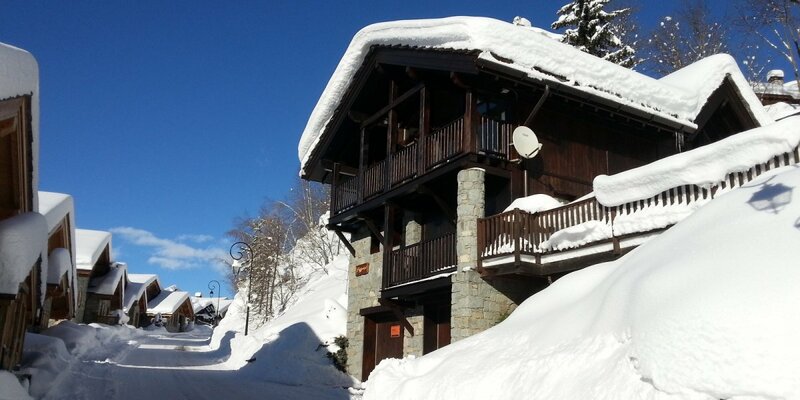 Sainte Foy resort - 100 - 200m.